» A Review of the Nemo Hornet 2P Tent: Does it Live Up to the Hype? 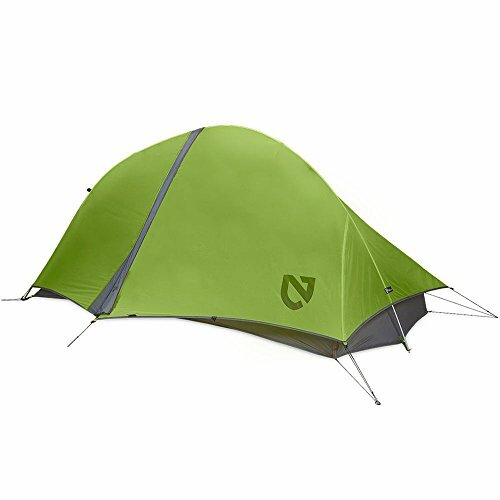 A Review of the Nemo Hornet 2P Tent: Does it Live Up to the Hype? 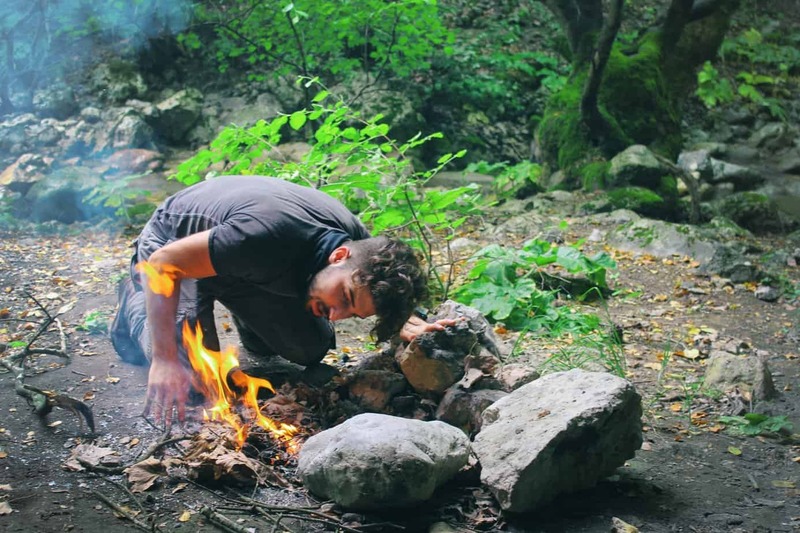 The Nemo brand is all about making your overnight stay in nature a success. They focus on outdoor gear like sleeping bags, pillows, camp chairs and other such amenities. Their real claim to fame is their line of tents. Quality always wins over quantity, and Nemo’s selection of tents shows that. Regardless of your situation you can find a tent with the right capacity, design and weather resistance for your next camping trip. Their 2 person capacity tents are particularly popular among couples and solo backpackers alike. If you’re in the market for that type of shelter, you’ll definitely want to consider the Hornet 2P. Minimum trail weight of 2lbs. Pack weight of 2lbs. 5 oz. Going by a short feature list you can see why the Hornet 2P is such a well-liked shelter. 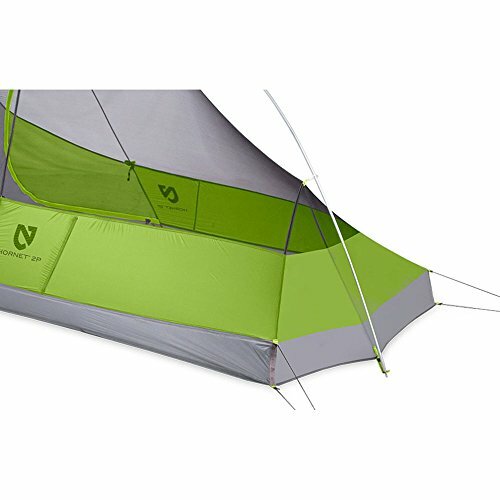 Nemo really put in a strong effort to make a tent for ultralight backpacking and they really hit the nail on the head. Both Nemo’s and retailer’s websites have numerous positive reviews for the Hornet 2P. This really is an excellent tent, on par with the many other 5 star quality tents Nemo produces. Here are three major advantages you can expect from this model. Weighing in at only 2lbs. 5oz. packed and 2lbs. even minimum trail weight, the Hornet 2P is definitely a lightweight tent. This tent hardly weighs anything and also is compact enough that it’ll fit easily into a backpack. Folded down properly and place into a stuff sack, this tent is roughly 19″ x 5″. Some people roll it up and pack it at the bottom of the backpack if it has sleeping roll straps. The reason this tent is so lightweight has to do with the materials Nemo chose. 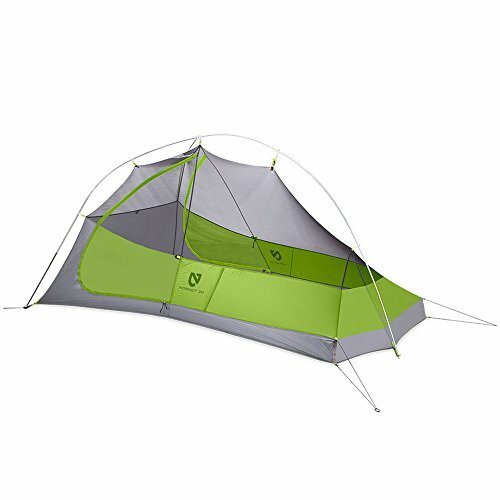 First off, this tent only uses one pole which is made of a light 8.7 mm aluminum. It hardly weighs a thing yet is durable enough to resist bending. The canopy fabric is a mix of 20 denier nylon and no-see-um mesh. The floor is 15 denier nylon while the rainfly is 10 denier. Nemo perfectly met the goal of choosing slightly less tough fabric to reduce weight while still maintaining decent durability. This tent might be lightweight in design but don’t let that fool you when it comes to weather resistance. Almost every positive review for the Hornet 2P boasts about how great this tent is when it comes to 3 major aspects of protection – water protection, breathability and wind protection. Water protection is provided in two forms. First off, the materials on the tent wall are durable and extremely waterproof. This tent can take a pummeling of rain in a heavy store and not even leak a drop. There is further water protection in the design of the floor. The Hornet 2P has a tub-style floor which means there are no seams at the bottom to allow water to leak in. Where there are seams on the rest of the tent you’ll find them to be stitched well and covered with leak-proof seam tape. Not only does this keep out water but also improves the lifespan of the tent overall. The Hornet 2P is an excellent size for one or two adults. While it is sold as a two person capacity shelter, many solo backpackers like the extra space this model offers for additional in-tent gear storage. It weighs only about 5 oz more than most solo tents so it is an excellent deal if you prefer extra space while camping. The tent offers 28 sq. ft. of floor space with an additional 16 sq. ft. of gear storage under the vestibule. With dimensions of 85″ x 51″ x 43″, two people would be pretty cozy inside. Some customers over 6′ or very large in frame wouldn’t be comfortable using this as a 2 person tent. The peak ceiling height is 40″ which is enough to allow easy movement in the tent without creating a claustrophobic feeling. It would probably be best to purchase this tent if you are either a solo backpacker or tend to only share a tent with someone you don’t mind being close to in the tent. Some customers that backpack with a canine companion find this tent to be perfect for them, their gear and a dog. Despite having a plethora of positive reviews backing it, you will find the odd 3 or 4 star review on the Hornet 2P. While these disadvantages don’t affect the use of the tent considerably, it’s worth keeping in mind so you aren’t met with any surprises. Here are the two main complaints for this model. The Hornet 2P is a durable tent but Nemo’s recommendation of using it with a footprint is understandable. The floor certainly isn’t made of fragile materials but sharp rocks or debris can puncture the somewhat delicate floor. The floor is a bit thinner than other Nemo tents because they had to go with lighter materials to keep the weight down. You can buy the Hornet 2P footprint or use a different brand. Some customers end up using their own tarp-like material under the tent with great success. If you’re camping on very soft terrain you could probably go without this added protection but it’s better to be safe than sorry. One puncture could greatly affect the waterproofness of this model after all. A disappointing aspect of the Hornet 2P is that it isn’t the 100% freestanding design Nemo claims it is. This design is more of a semi-freestanding tent because you still need to stake it out for maximum living space. The Hornet 2P comes with guylines and stakes to pull out the tent to access its maximum inside area. While you can set up the tent with only the poles, the inside space will be much smaller and the walls won’t be as taut. Normally having to use a couple stakes and guylines isn’t a big deal but it is a disadvantage since some customers buy this tent assuming it truly is freestanding. Despite its two downsides, the Hornet 2P is an excellent example of a quality 2 person tent. 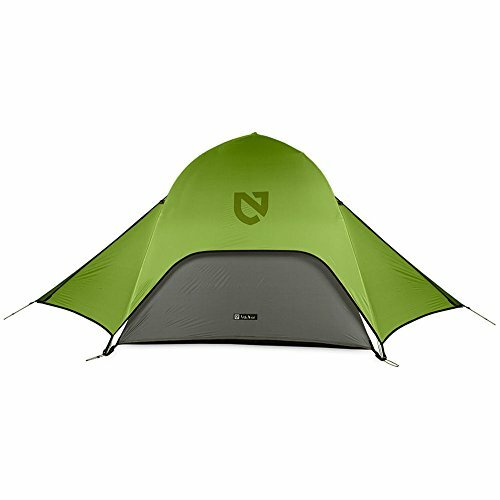 Nemo tents are well-known for their intuitive design and overall longevity, and this model certainly lives up to the brand’s reputation. If you are a solo backpacker that needs a lightweight tent with room for gear storage, this one is perfect. Even if you sometimes camp with a close friend or family member, the Hornet 2P will still keep you comfortable.